Furniture Assembly Services works with the UK's most experienced skilled network to take the stress out of building your flatpack furniture. We have over 120 experts nationwide who are ready and waiting to build your furniture, at a time and place to suit you. We also assemble fitness equipment, Wendy Houses, garden play equipment, etc. 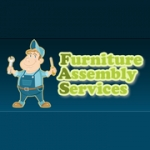 Furniture Assembly Services has over 120 expert Flatpack Furniture assemblers, located nationally around the UK. We have vast experience of building furniture from many retailers, including Argos, Ikea, John Lewis, Habitat, Dreams, HomeBase, Tesco and Mothercare. On average, each of our experts have 10 years of experience in building flatpack furniture – so your home is in safe hands. Most of our assemblers are mature, retired or semi-retired people, with considerable experience of working with wooden furniture products. They include a number of professional carpenters and cabinet makers.